Time to replace your heating system? We are the go to experts for heating system installation in the greater Charleston area. Call Supreme Heating & Air Conditioning in Summerville today for your no obligation heating system assessment. We will diagnose your heating problem, determine the best course of action, and provide you with a written estimate. Whether your heater need to be replaced or repaired, we will provide you with the courteous efficient service you deserve. Energy Efficiency. As a long time homeowner you are well aware of how expensive heating and cooling your home can be. One way to save on your utility bill is to upgrade to a newer more energy efficient heating & air conditioning system for your home. Call the experts at Supreme Heating & Air Conditioning to inspect your HVAC system to see if it is time to install a new energy efficient system. Comfort. Proper installation of your new heating system will keep you warm & cozy for years to come. Improper installation can be very costly, and effect your utility bill for years to come. The HVAC technicians at Supreme Heating & Air Conditioning are some of the best in Summerville. 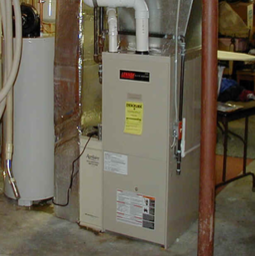 If you need a new furnace or just need your heater repaired, we can help you. Call us today at 843-970-3232, for all of your heating needs. To ensure you get the most out of your heating system in Summerville, Ladson, Goose Creek, Charleston and the surrounding areas, call Supreme Heating & Air Conditioning today at 843-970-3232. An essential component to your HVAC system, your heat keeps you cozy and warm on those cold winter nights. We have compiled a list of the most frequently asked questions we get about heating systems. Q: How Does a Heating System Work? A: Overall, heating systems are quite simple. Easy for us to say right? Beginning with your furnace, it creates combustion gas, the gas then moves through a heat exchanger. The heat exchanger then funnels the air from your home and warms it using the combustion gas. The warmed air is then pushed from the heating system through your duct work and into your home. Simple right? Q: Why is Installing and Maintaining a Heating System Important? A: These days, unlike days gone by, home heat isn't a luxury, contrary to popular belief, it gets cold in Summerville, SC in the winter! Heat is a necessity for the comfort of your family. Scheduled maintenance of your home's heating system will ensure that you don't have any sleepless nights due to a broken furnace, and will keep your home heating costs reasonable. Q: What Size Heating System Should I Buy? A: It is essential to make sure you purchase a heating system that is in line with the square footage of your home. Too big, and the system will cycle off and on more frequently, increasing your heating bill. Too small, and you won't be able to keep your teeth from chattering! The system will struggle and strain to provide you with enough warm air to heat your home, and keep your family comfortable. We can help you determine what size is the right size heating system for your home. Q: How Can I Lower My Heating Bill? A: When your unit is operating make sure your windows and doors are closed! Use weather stripping to seal up any cracks that may be letting warm air escape or letting cold air in. Sometimes we forget to close the flue on the fireplace letting cold air into our home. Make sure to replace your heating systems air filters, allowing air to flow freely through your heat exchanger. Last but not least, you can turn the thermostat down a degree or two. You may need to throw on a pair of socks, but your wallet will thank you! Q: What is the Best Temperature to Leave My Thermostat on? A: If we had a dollar for every time we've been asked this question we'd be on a beach in Bali! Your homes temperature is definitely a personal preference, however more times than not family members have a tough time coming to a consensus on WHAT that temperature is! Typically, we recommend keeping the thermostat between 68 and 72, but when you leave the home for the day, you can push it down to 65 degrees, and push back up when you get home. If your system is running efficiently, it won't take more than a few minutes to get it back up to a comfortable temperature. If it's not running efficiently call us, and we'll get it taken care of for you. Q: What Could Cause Damage to My Heating System? A:Hands down the number one way to damage your heating system is to neglect to change your air filters! A clogged filter causes the system to strain due to low air flow, this can lead to the need for costly repairs. Some filters need to be changed every 30 days, some can last up to 90 days. The easiest way to remember to change your air filters is to set an alarm in your phones calendar, or if your old school, write it down on your calendar. This simple reminder can potentially save you hundreds if not thousands of dollars. Normal wear and tear without scheduled maintenance is probably the number two reason we see people having to pay big repair bills. Do yourself a big favor, and schedule maintenance on your HVAC system, trust us, you'll be glad you did! Call Supreme Heating & Air Conditioning for all of your heating and air conditioning needs.